Χάρη στην ποιοτική διαμονή και την άριστη εξυπηρέτηση του Cocoroom Cafe Garden Guest House, στην επίσκεψή σας σε Οζάκα θα νιώσετε σαν στο σπίτι σας. Από εδώ, οι επισκέπτες μπορούν να έχουν άμεση πρόσβαση σε όλα όσα η πόλη έχει να προσφέρει. Με την βολική του τοποθεσία, το ξενοδοχείο προσφέρει εύκολη πρόσβαση στους προορισμούς της πόλης που πρέπει οπωσδήποτε να δείτε. Το Cocoroom Cafe Garden Guest House προσφέρει επίσης πολλές εγκαταστάσεις για να εμπλουτίσετε την διαμονή σας στη Οζάκα. Το ξενοδοχείο σας προσφέρει μια μεγάλη επιλογή υπηρεσιών, συμπεριλαμβανομένων των δωρεάν WiFi σε όλα τα δωμάτια, 24ωρη φύλαξη, αυτόματο πλυντήριο, ταχυδρομική υπηρεσία, φύλαξη αποσκευών. Τα δωμάτια του ξενοδοχείου έχουν διαμορφωθεί προσεκτικά ώστε να παρέχουν υψηλό επίπεδο άνεσης και την ευκολίας. Σε κάποια από τα δωμάτια, οι επισκέπτες μπορούν να βρουν καθαριστής αέρα, λευκά είδη, πετσέτες, ξύλινο/παρκέ δάπεδο, ασύρματη σύνδεση internet (δωρεάν). Εξάλλου, το ξενοδοχείο διοργανώνει πολλά ψυχαγωγικά δρώμενα έτσι ώστε να έχετε πολλά πράγματα να κάνετε κατά τη διαμονή σας. Όποιος κι αν είναι ο σκοπός της επίσκεψης σας στη Οζάκα, το Cocoroom Cafe Garden Guest House είναι μια εξαιρετική επιλογή για μια χαρούμενη και συναρπαστική απόδραση. Everyone here is nice and friendly. Even the pet bird. Staff speaks english well and always welcome you like every time. The hotel looks very colorful and brjght. I had a very pleasant stay here. Bathrooms are always clean and available. Very near the subway exit 2. It is a good choice of stay in Osaka. Should be number one. This is really a shop unit in a street market complex that had been converted into a hostel of sorts. If you're the sort who loves to mingle and meet other tourists, I would strongly recommend staying here as the staff are all "family" and they have dinner together, along with other tourists. Eating breakfast here costs 500yen, lunch and dinner costs 700yen each. I never got to eat here because I'm always out early and back late during my stay, but the staff were nothing short of friendly when I was around and they even allowed me to keep my food stuff in the fridge after I checked out, to be collected in the evening when I collect my luggage from them. One thing to take note of is that you shouldn't mistake this for another "Cocoroom" restaurant located further north in the street. 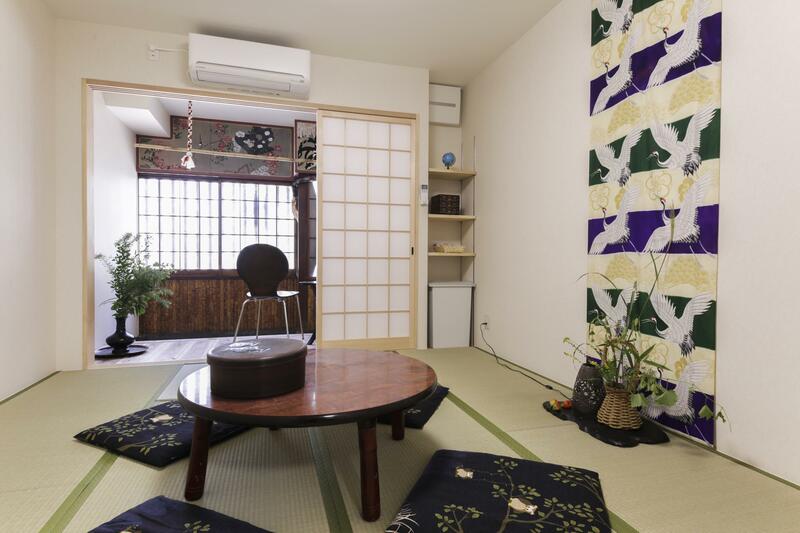 The Cocoroom you want has a man-sized doll wearing kimono sitting above the door. The house keepers are all pretty nice. Their oral English is good. The house is located in a fantastic place, close to the local living area and subway. It is a good experience to walk around the streets nearby. First of all, you wouldn't have hard time locating the hostel because once you exit (Exit 2 - Dobutsuenmae station) you'll just have to follow the small street and after maybe 150-200 meters of walking, you'll be able to see the hostel at the right side. The staff are friendly and accommodating, they even gave us tea and snacks. Also the rest room are very clean and nice as well as the bed. Their bed is the best to sleep with, the comforter is very warm during cold days. 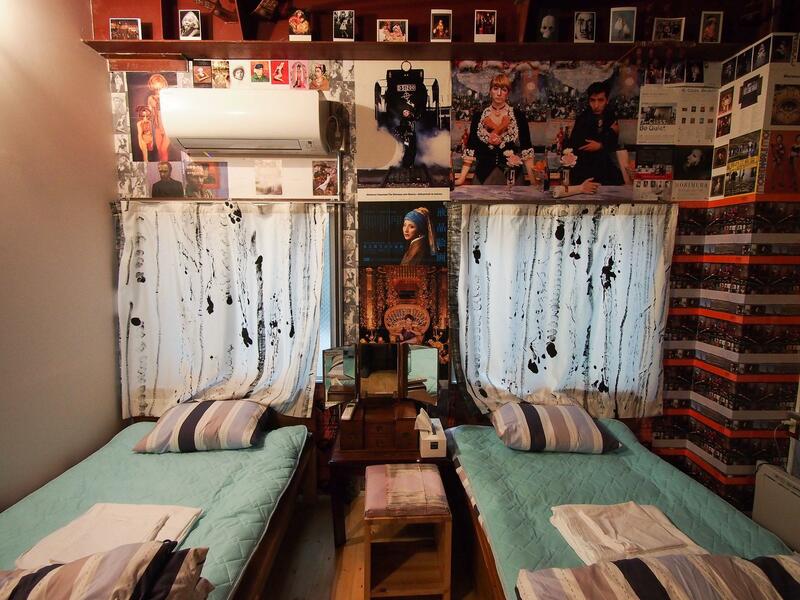 I love the hostel and definitely coming back if I visit Japan again. The staff is willing to help us to sightseeing like a friend. And we really enjoy the meal made by the hostel. The meal is delicious. 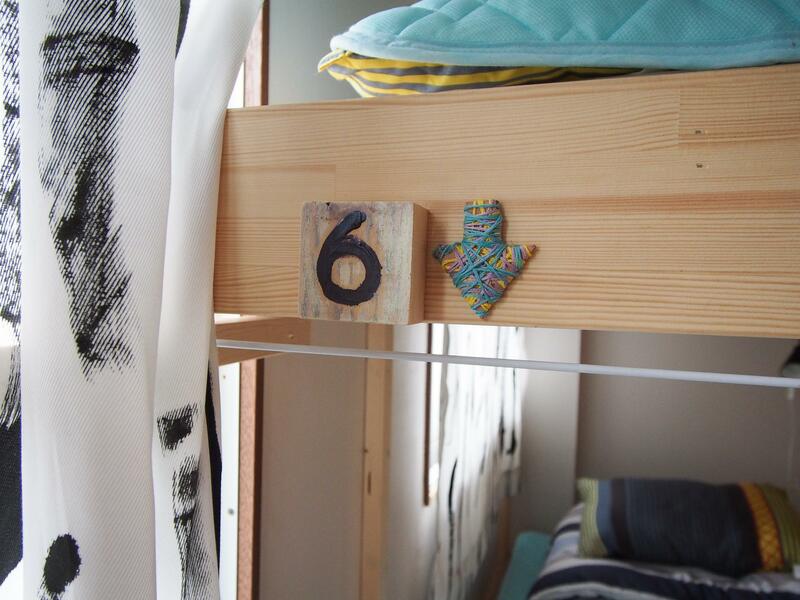 The decoration of the hostel is special. We suggest people can visit there! 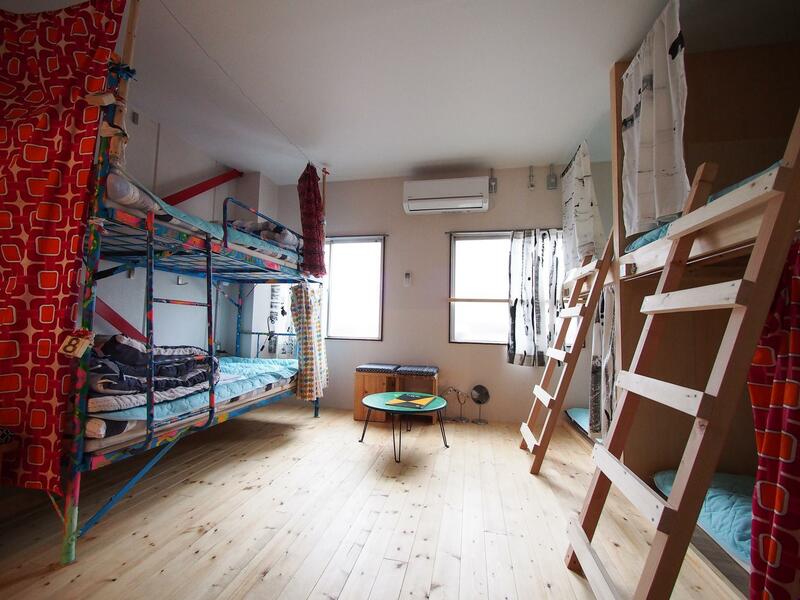 We can't rave enough about this hostel in and up and coming part of south Osaka! If you use a JR pass it's about 15 min from Shin Imamiya station. If you use the subway, it's about 10 min from Dobutsuen Mae station. The community is a little rough around the edges, but we felt totally safe walking in the area. The hostel gives you a book about the area's history along with some nice tea and cookies when you first show up. This place is an artist's dream! There is art everywhere on the walls, there is an outdoor garden, inside there is a guitar and piano to play, and they even started hosting special music events. That being said, it's not noisy at all and everything is very well kept and clean. You have individual shower rooms, which is nice, and some of the nicest Japanese toilets we've seen. Rooms are on the 2nd and 3rd floors (no elevator, just stairs), and the 4th floor has an open air rooftop with washer/dryer. Towels are 1 yen each. Would definitely stay again! Staff are nice & friendly. They allowed me to take a shower before check in & after check out. You also can keep your luggage at hostel after check out. Wifi are great. You can get access Wifi all over the hostel. Location also near subway(Dobutsuenmae 3min walk) which allow me to move around the Osaka easily. Even though we arrived past midnight, the staff made us feel at home. He served us hot tea, showed us to the room and told us where to get food at that time. The bed was very comfortable. There are plenty of showers and toilets, and no curfew. Towel is provided for a fee. There is a garden at the back. They also offer breakfast and dinner. The location of the hostel in the market area. The walk from the hostel to the train station means passing through plenty of shops, restaurants, bars, etc. It is a lovely place, would love to stay there again. Great room with wonderful amenities. The place is clean and there is no curfew . The bathroom and showers are shared but it's very clean and modern. The building is also very colourful just like the people from Osaka. They even organize breakfast and dinner with real homemade cooking but I unfortunately could not participate because of my busy schedule but I would have loved to share a meal with the staff at least once. Just a tip, get off at Dobutsuen-mae station and you'll just need to walk inside the shopping alley to find the place. You will see a lot of bars and lots of senior citizen in this area but I felt completely safe in the area even at night. It definitely is not a touristy place so I felt at ease. Close to it you have Tamade a supermaket if you ever want to buy food at local price and other amenities. Some of the staff speaks English so if you have any questions, there are there to help you. I definitely recommend this place if you want to visit Osaka! A lovely and family run guesthouse. Upgraded me from 8 bed mixed dorm to a 4 bed female dorm w/o charge - thanks! Unique location - guesthouse is located in an area full of old fashioned shops and bars. Safe overall. Close to a subway station (4 min walk) and a JR station (7 min walk). 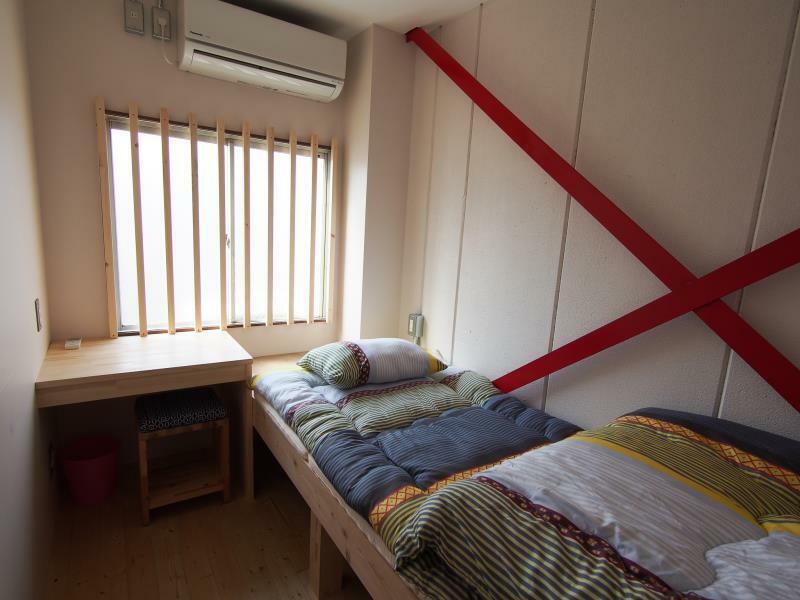 This place is pretty good if you want to stay in Osaka on the cheep. It is pretty close to two stations and about 20 mins by train from Osaka station. It is actually located inside of a closed off shopping area. So music and kareoke can be heard in the AM and PM hours. Plus, the room I stayed in always looked like daylight since the lighting outside never turns off. Overall. The wifi could be difficult to fully connect to at times as well. Overall the staff was friendly and accommodating. The mixed dorm I stayed in got a bit cramped with all of the suitcases. Overall, not a bad place for a short stay with a small group or solo. the staff was very helpful, the owner who makes three meals doesn't speak English nor Chinese, if you have any questions, better ask them in the afternoon when the English speaking staff is there. Should definitely try the Okonomiyaki place near the hostel (the staff knows it), it's really the best okonomiyaki I have ever had! 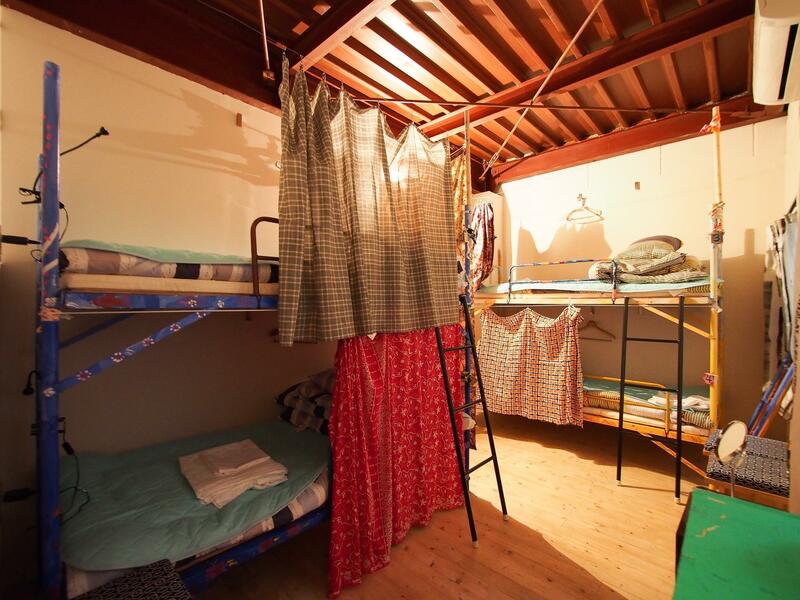 this hostel is situated in an interesting old street, full of isakayas and next to a cheap supermarket. Feels like back in time. The problem is it gets a bit noisy hearing old people singing karaokes but they stop before 11pm so its not much a problem. There are 5 shower rooms so you can take shower anytime, they are all clean and big. Its definitely a good deal staying here, not bad location (not like in Umeda but it's next to a metro station), really clean and cute rooms. 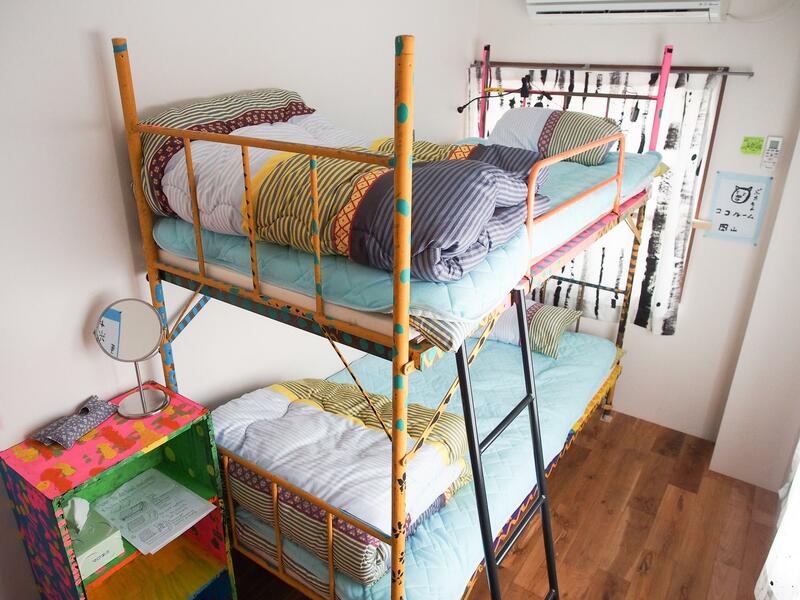 Just the beds are kinda hard and the room for 3 is kinda too small. Cocoroom is a place full of love. People come here to share happiness and interesting stories during their trip. During the lunch and dinner time, cocoroom cafe prepare amazing delicious Japanese food. If you stay here, you can spend at least one night to have dinner with those friendly people in this guest house. Very nice location! The staff gave me very precise instructions to their place. I did not have a difficult time finding it even if it was late at night. Best part was their home cooked Japanese meal. Guests get to share a meal with the hosts. First the pros: - The staffs are friendly and wonderful people, especially the grandma / oba-san - You sometimes will see a family (the owner family probably) hanging around at the bar area and eating together. This make the guest house feels even more "homy" - You can have homemade cooking (made by oba-san probably) for 700 yen, you will eat with the other staffs / family members / guests - There is a small garden with some tables, perfect for eating place / working / just chilling out - Clean room, bed quality is as standard as a hostel can - Nice kitchen, have some uttensils that I think will be enough to create many kind of food - Have a balcony for you to dry wet cloths and also a smoking place - Toilet and shower rooms are clean and have basic ammenities The cons: - Location, the outside area looks like a rundown alley especially at night. - - Sometimes you can hear faint singing sound from nearby bars. 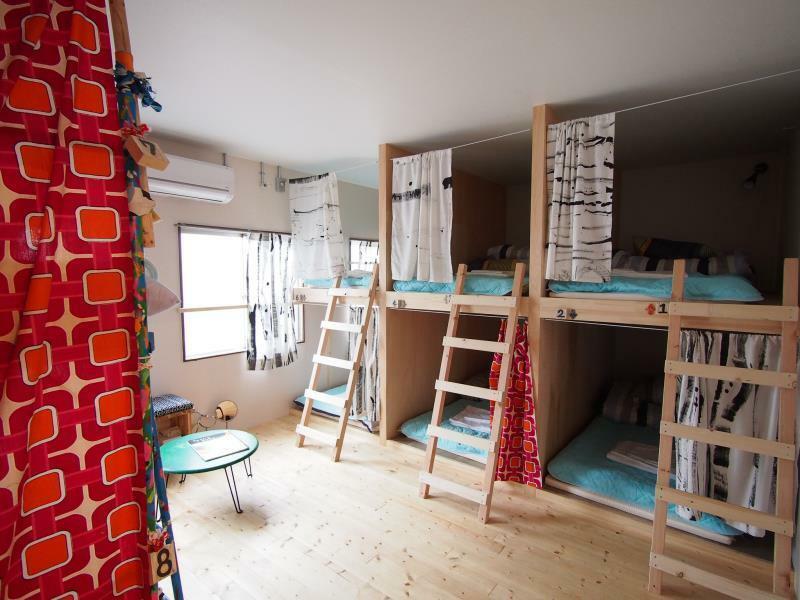 A really cute and heartwarming accomadation. They have a super cute cafe and garden, and the Japanese dinner I had with them was affordable and yummy! It tasted like mommy's food to me. I will def come back again! Σταθμός Υπόγειου Σιδηρόδρομου Dobutsuenmae στα 0.3 χλμ.